Cool. Is the led flush with the case or does it stick out? It's kind of hard to tell. having worked with the same kind of LED holder, the LED does stick out a bit. But you'll only see the round part of the LED bulb. yup, like x24 said, doesnt stick out much. niiiice!!! i might try this with mah box! Is that a wankel engine in your sig Yuca? Cool! done the same to my case, only i did this: Regarding the eject button, place a Aircraft bomber switch on and open 5.25" bay and connect it to the Eject button with some wires. then put the LED above the switch. 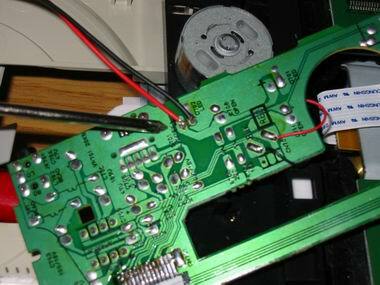 also do one for the HDD and any other CD drive you have. you will probably have to mod the bomber switch somehow to make it momentary. that or just flip it on and off really fast whenever you want to open your cd rom . I also wanted to add that right clicking the cd rom icon and selecting eject works instead ripping out the switch.